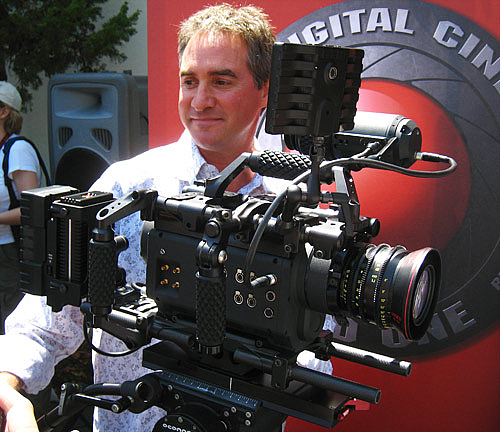 I've been at each day of Cinegear Expo this weekend. Friday I was able to convince a few classmates to join me, and the first seminar we attended was the Red seminar where we watched the short that Peter Jackson shot on the Red, a WWI pic titled "Crossing the Line." More on that later, but the latest interesting news is that in addition to being used on the Angelina Jolie-Morgan Freeman movie Wanted, the Red will be used to shoot Steven Soderbergh's movies The Argentine and Guerilla.